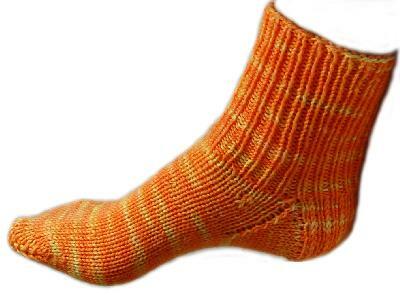 Oh so easy, basic socks, let the yarn do the talking while you do the walking. Knit on a 12 inch circular means you can take this project with you anywhere. A great project to use a knit-along tote bag! Pattern shown using Ivy Brambles Superwash Worsted weight yarn in colorway Dayglow. Ivy Brambles Superwash Worsted Yarn #108 Day GlowIvy Brambles Superwash Worsted Yarn is a deliciously soft hand dyed worsted weight yarn that is machine washable (cool) and dryable (low heat) designed for sweaters, baby garments and accessories desiring a worsted yarn. This is truly a spectacular yarn!